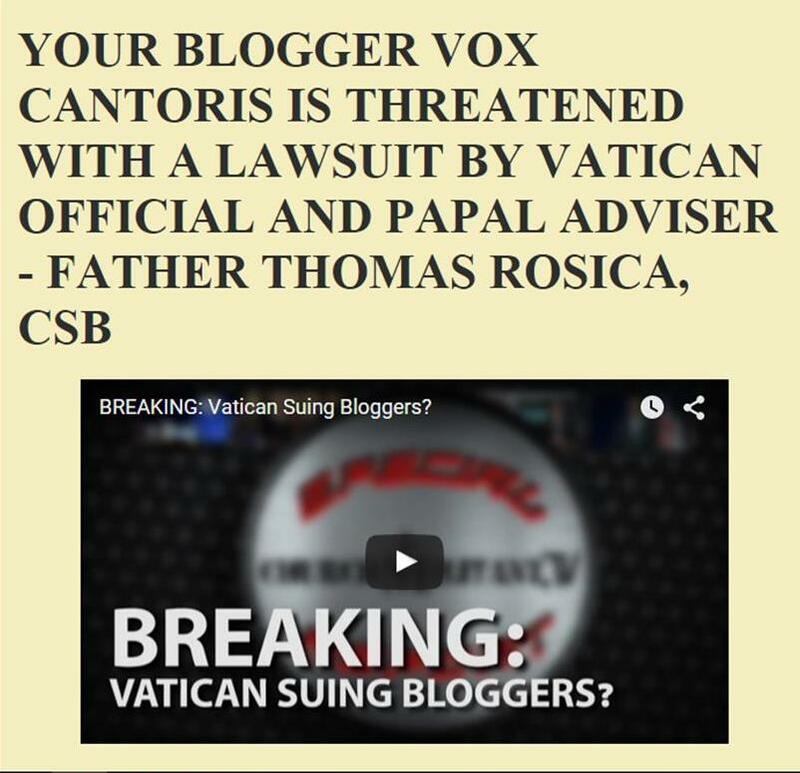 Vox Cantoris: Good Friday 2016: Oh my people, what have I done to you? How have have I offended you? Answer me! 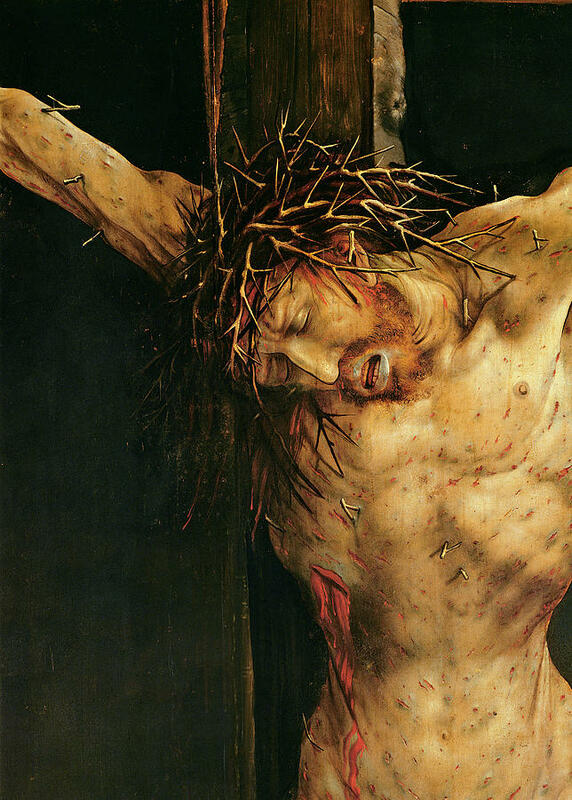 Good Friday 2016: Oh my people, what have I done to you? How have have I offended you? Answer me! Who hath believed our report? and to whom is the arm of the Lord revealed? And he shall grow up as a tender plant before him, and as a root out of a thirsty ground: there is no beauty in him, nor comeliness: and we have seen him, and there was no sightliness, that we should be desirous of him: Despised, and the most abject of men, a man of sorrows, and acquainted with infirmity: and his look was as it were hidden and despised, whereupon we esteemed him not. Surely he hath borne our infirmities and carried our sorrows: and we have thought him as it were a leper, and as one struck by God and afflicted. But he was wounded for our iniquities, he was bruised for our sins: the chastisement of our peace was upon him, and by his bruises we are healed. All we like sheep have gone astray, every one hath turned aside into his own way: and the Lord hath laid on him the iniquity of us all. He was offered because it was his own will, and he opened not his mouth: he shall be led as a sheep to the slaughter, and shall be dumb as a lamb before his shearer, and he shall not open his mouth. He was taken away from distress, and from judgment: who shall declare his generation? because he is cut off out of the land of the living: for the wickedness of my people have I struck him. And he shall give the ungodly for his burial, and the rich for his death: because he hath done no iniquity, neither was there deceit in his mouth. And the Lord was pleased to bruise him in infirmity: if he shall lay down his life for sin, he shall see a long-lived seed, and the will of the Lord shall be prosperous in his hand. Because his soul hath laboured, he shall see and be filled: by his knowledge shall this my just servant justify many, and he shall bear their iniquities. Therefore will I distribute to him very many, and he shall divide the spoils of the strong, because he hath delivered his soul unto death, and was reputed with the wicked: and he hath borne the sins of many, and hath prayed for the transgressors. From the Prophet Isaiah Chapter 53. Is this still practiced in Novus Ordo? Seems the lesbians and 'emancipated' liberal men and women would have already had their emasculated priests and bishops to have discarded this. In my Ukrainian Greek Catholic Church we have the Tomb of Our Lord set up before the Altar. There is a plain wooden Cross because we have the plaschenitsya. The plaschenitsya is an icon of Our Lord taken down from the Cross and Our Lady holds His Sacred Head in Her hands, while St. John, St. Mary Magdalene, Joseph of Arimathea and the holy women look at Our Lord. When one venerates the Tomb, you approach the Tomb on your knees. At the edge of the first pew, you make a prostration before the Tomb, then go forward on your knees and kiss the Holy Gospel, the Five Wounds of Our Lord and the crucifix (the crucifix is part of the Tomb). You go backwards on your knees, make another prostration, and leave the Tomb on your knees. Everyone is asked to spend at least one hour to "guard" the Tomb, so that Our Lord is not left alone. Wishing you and everyone a happy and Holy Pascha (Easter). 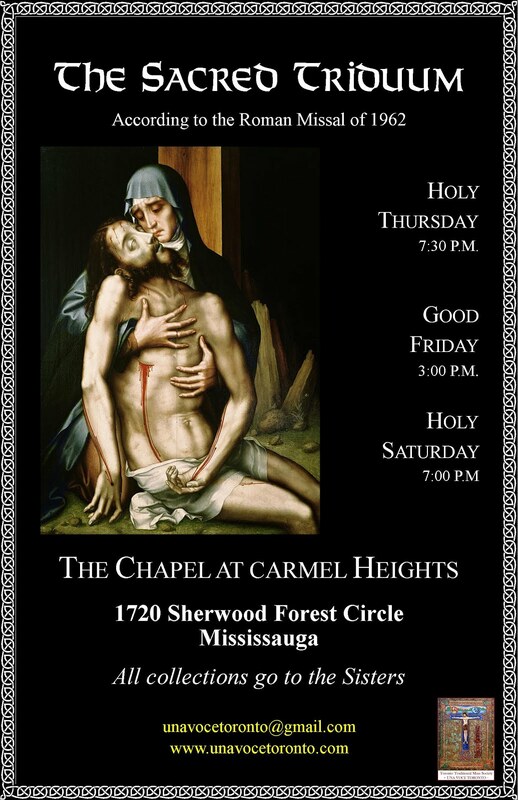 (We can't use the Paschal greeting until tomorrow night (Paschal Vigil Liturgy). Magnificent music (and Scripture too)! "Today is the fountainhead of our salvation and the revelation of an eternal mystery: the Son of God becomes the Virgin's Son and Gabriel announces this grace. Therefore let us with full voice exclaim with him to Her: Hail, Full of Grace, the Lord is with Thee "